Samsung has announced that its has completed development of 5-nanometer (nm) FinFET process technology. This comes after it announced the readiness and its initial production of 7nm process, its first process node with EUV lithography technology in October. It provided commercial samples of the industry’s first EUV-based new products and started mass production of 7nm process early this year. Up to 25% increase in logic area efficiency with 20% lower power consumption or 10% higher performance as a result of process improvement to enable more innovative standard cell architecture. Reuse of all the 7nm intellectual property (IP) to 5nm. Thereby 7nm customers’ transitioning to 5nm will greatly benefit from reduced migration costs, pre-verified design ecosystem, and consequently shorten their 5nm product development. Samsung also announced that it is collaborating with customers on 6nm, a customized EUV-based process node, and has already received the product tape-out of its first 6nm chip. Samsung foundry’s EUV-based process technologies are currently being manufactured at the S3-line in Hwaseong, Korea. 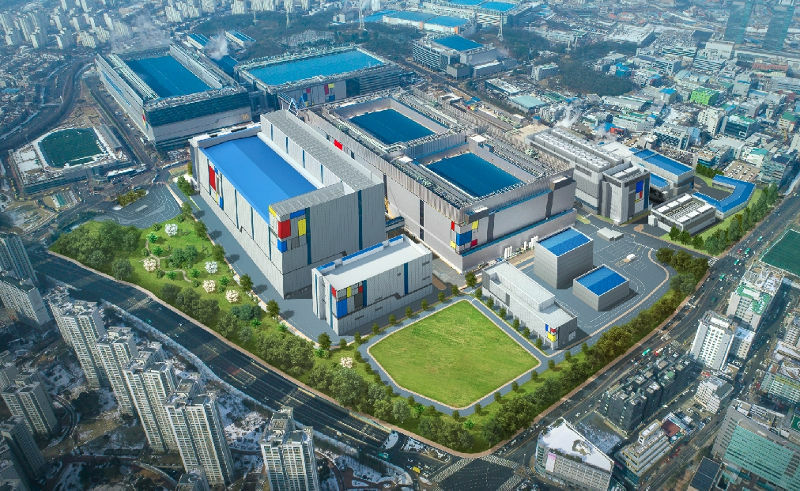 It will expand its EUV capacity to a new EUV line in Hwaseong, which is expected to be completed within the second half of 2019 and start production ramp-up from next year. So we can expect 5nm chips from 2020.